Inspired by athletes and made for you, the Merrell Women's MQM Flex GTX shoe packs all the technology needed for Moving Quickly in the Mountains into one fast, protective hybrid. 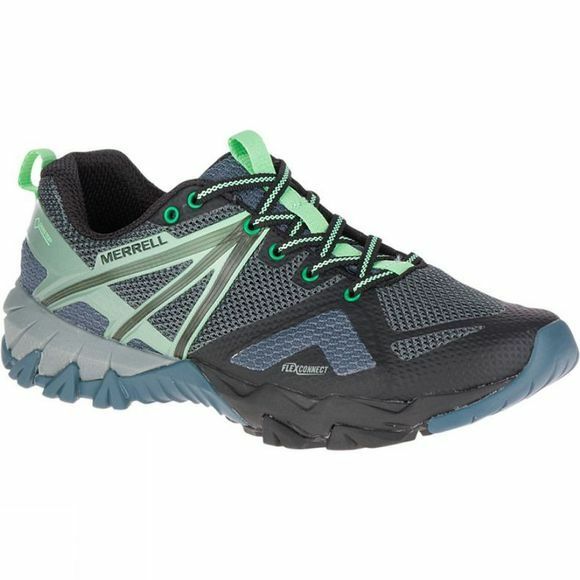 The MQM range was designed by Merrell to combine hiking, trail running, scrambling and climbing into one shoe to reduce the inconvenience of changing shoes and the amount of kit taken on a trip. 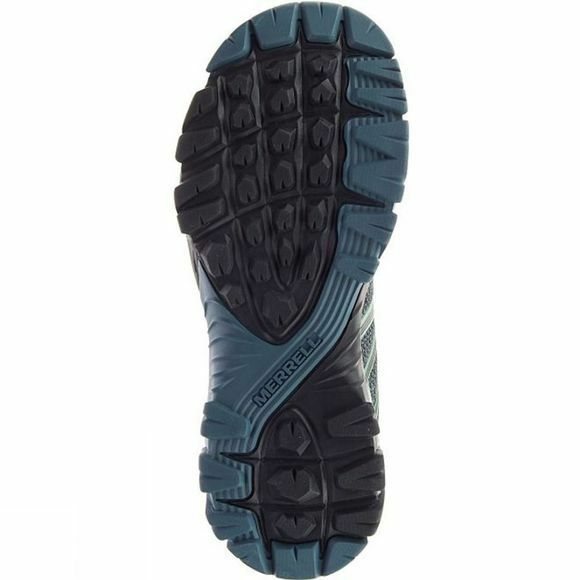 A TPU enforced heel cup and tacky M Select Grip outsole give the feeling of security which is super important when scrambling downhill at speed.